The best online commerce sites are easy to navigate and not cluttered or messy. Make it easy for a potential customers to see what your brand is all about, and what products or services you offer. Huge blocks of text or a convoluted design can make a potential customer go running back to their favorite search engine. High quality photographs and consistency in formatting (think font choice, logo etc) will all help build your online commerce brand, and show your customers what you can offer them. Showing is infinitely more powerful than telling, and is more likely to lure people in. 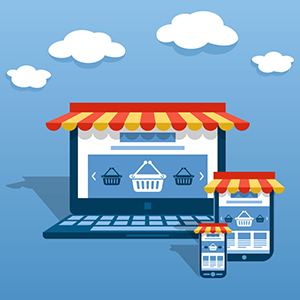 The best online commerce sites are powered by strong back end systems. Analytics can help you understand every click a visitor to your website makes, and guide your decisions with product assortment, arrangement and beyond. You could come up with the next Ebay or Alibaba in the online commerce world, but if you do not have strong search engine optimization and show up early in results, you will be passed over time and again. Hire an expert to help you create and execute an SEO strategy, and use analytics to track your success. A (potential) customer is on your site, but they have a question that is not answered via the FAQs that you’ve neatly laid out. Do they have a readily available point of contact? What is the lead time on getting a question or concern answered? Make FAQs, policies, and contact information easily accessible, and follow up quickly when someone reaches out. Once you’ve created the perfect online commerce site, grow your success by consistently analyzing and reevaluating. Ideally, you could sit back and watch the money roll in, but online commerce takes work to make sure that you are growing and retaining your customer base. Ask for feedback whenever you have the opportunity, and look for small ways to simplify and connect more with your customers.